"Best Place to Learn How to Play an Instrument"
"Best Singing Lessons in CT"
An annual registration fee of $50 per student (maximum 2 per family) is due at the time of registration. This fee is non-refundable. Your registration fee reserves your instructor(s) and time slot(s) each week. Lessons will be held the same day and time each week. Attending your scheduled lesson on time each week is critical to the process of learning. Your registration reserves your teacher’s time during the year at that specific time period each week, regardless of student non-attendance, vacation, field trips, school music obligations, musicals/plays, sports, etc. Cases of extended illness will be handled on an individual basis. As a courtesy to your instructor, we ask that you notify the business office as soon as possible if you are unable to make a lesson, or if you are running late. If a student is late to a lesson, we cannot guarantee their full lesson time. With no advance notification, our instructors will wait a minimum of 1/3 of the scheduled lesson duration prior to marking a student as a ‘no show’ and forfeiting the lesson. Notice of cancellation does not exempt the student from paying their contracted lesson rate. Additionally, lessons cancelled with less than 24 hour notice are NOT eligible to be rescheduled as a make-up lesson (per your plans makeup policy). There are NO exceptions to this policy. Students are allowed Make-Up Lessons according to the lesson plan chosen. Make-Up Lessons must be scheduled within the allowed time per plan chosen. Please note: Tuition is never prorated for missed lessons. If lessons are not made up within the allowed time, the student forfeits the option of a Make-Up Lesson. The Academy does not close on all Holidays. Should your regularly scheduled lesson land a Holiday that we are closed on, the student will be given a make up lesson at a mutually agreeable time with their instructor. Should your regularly scheduled lesson land on a holiday that the academy is open and you do not want to attend your lesson, you would need to either use your make up lesson if applicable or forfeit that lesson. In the event the Academy is closed or your instructor is unable to make your scheduled lesson, we will work with you to find a mutually convenient time to reschedule your lesson. In the event an instructor cannot teach, there may be occasions where a substitute instructor will be used to keep regularly scheduled lessons or make up the lesson missed. In the event that you are not feeling well we recommend you do not skip your lesson but rather take your lesson online via Skype or FaceTime with your teacher. This will save you from having to use a make up lesson. If you are too sick to have your lesson you will need to reschedule as a make-up lesson (per your plans allowance) or forfeit the lesson. In the event that your lesson is scheduled on a day that the weather is bad and we close, rather than canceling your lesson and making it up, our instructors will teach you online. Our instructors are available via Skype or FaceTime. In the event we do not close and you do not want to drive in because of weather the same rules apply! All requests for changes in your permanent instructor, lesson day, and lesson time should be made in writing to our business office. This can only be done once per academic year for Split Pay and Pay In Full Contracts. To discontinue lessons, please contact our business office. All withdrawals require 30 days notice. We do not prorate or refund tuition for withdrawals. Students are responsible for tuition for the duration of their contract whether or not they choose to attend all of their lessons. New Haven Academy of Performing Arts reserves the right to dismiss a student for any reason with out refunds, including, but not limited to: frequent absence; disciplinary problems; overdue tuition payments; and noncompliance with our policies. Tuition is charged either in full, split pay or we can set up Autopay from any major credit card or checking account and it will be charged on the 28th of each month prior to your upcoming lessons. We are able to set up payments to be processed via auto pay by pre-authorized credit card Please complete an authorization agreement for ACH payments with our business office. In the event that an ACH transaction or check is rejected for insufficient funds, a $25 fee will be added to your account. Payments made after the 15th of the month will be subject to a $25 late fee. 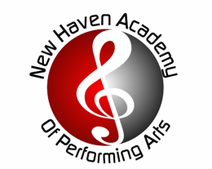 Parents, legal guardians of minor students, and adult students fully waive and relinquish any and all claims against New Haven Academy of Performing Arts and it’s owners, instructors, and employees from injuries or damages as a result of participating in any activities associated with New Haven Academy of Performing Arts. Photographs or videos of registered students taken during events, lessons or classes with New Haven Academy are considered for publication and public use, unless the student, parent, or legal guardian submits a written request to the contrary at the time of registration. To ensure you child’s safety please pick him/her up promptly from class/lesson time. New Haven Academy of Performing Arts instructors and administrative staff are not responsible for supervising children outside of class/lesson times. For all communications, please contact our business office directly at 475-238-8119 or info@nhaopa.com. Please DO NOT contact your instructor via social media, text, or phone. Any requests sent directly to your instructor will not be fulfilled. ​If you are ready to start, you have nothing to lose as we only want students who truly want to be here.